One of the critical areas of reform in the legal system, is the awareness of rights and laws by the general populace. While there are laws and systems in place, the average citizen is often unaware of their presence, their relevance and when/how to access them. 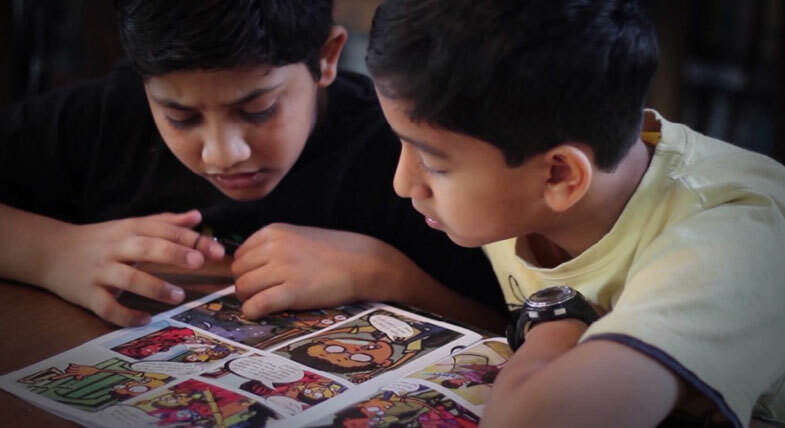 Recognising this as a key failing, lawyers Kanan and Kelly Dhru from Research Foundation for Governance in India (RFGI), embarked on their idea of creating a graphic story format to educate children about laws in India. 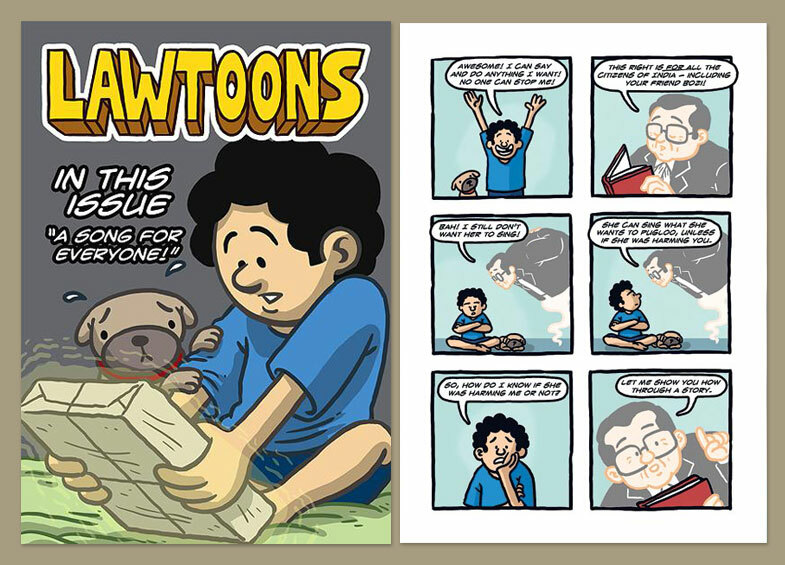 Lawtoons is a comic book series on laws in India, and following a successful crowd-funding campaign the first book in the series is now out. The first Lawtoons prototype book was designed and tested with children in two public and three private schools in Ahmedabad. Apart from Kanan and Kelly Dhru, creative inputs on the project have been so far provided by designer & illustrator Anish Daolagupu and mentors like Margie Sastry (writer and former associate editor at Amar Chitra Katha) and Sekhar Mukherjee (head of animation film design at the National Institute of Design, Ahmedabad). With their recent funding, Lawtoons hopes to engage more designers and create subsequent books under the series. You can buy the first Lawtoons book, called ‘A Song for Everyone’ on Right to Equality & Freedom of Speech, here.